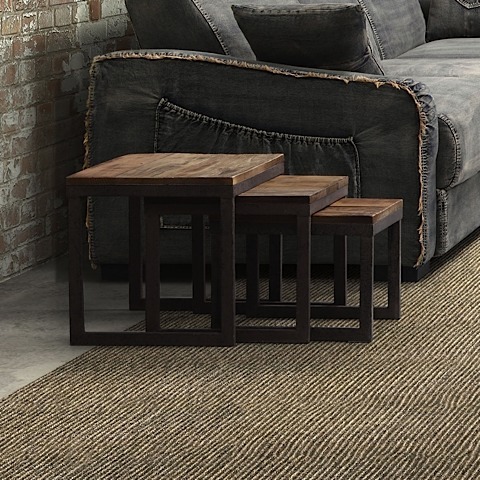 Perfect for those small spaces, the Civic Center Nesting Tables slide together for a space saving design. 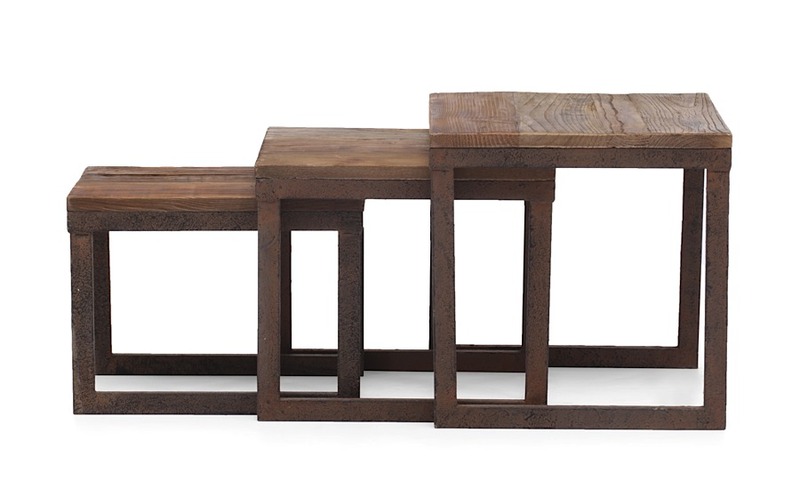 Pull the tables apart or contract them for a clever, space saving design. 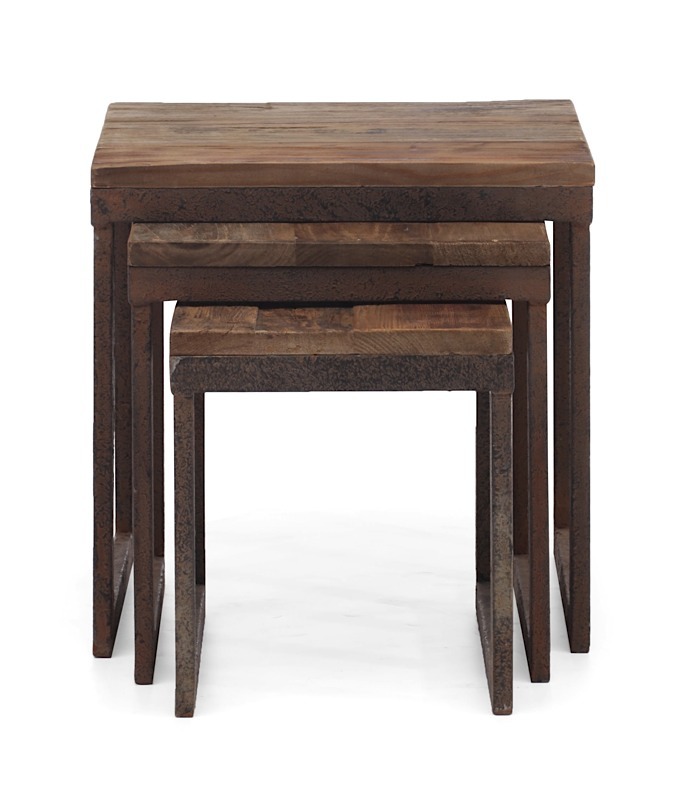 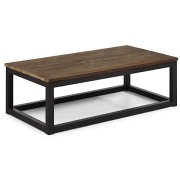 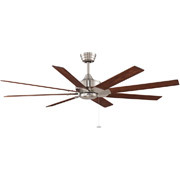 The table tops are crafted from solid elm and the base is antiqued metal. 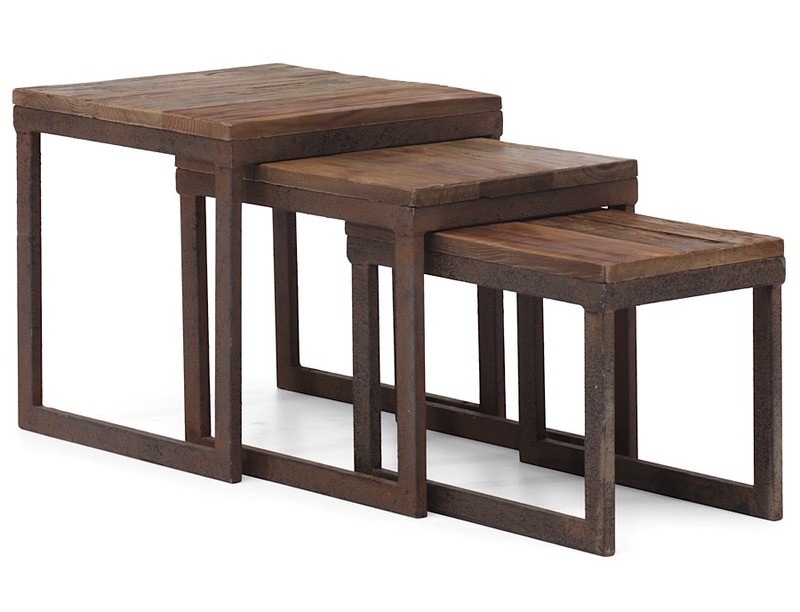 The dimensions of the three (3) tables are: Large - 15.7"w 15.7"d 16"h, Middle - 13"w 15.7"d 14"h, Small - 10"w 15.7"d 12.2"h.